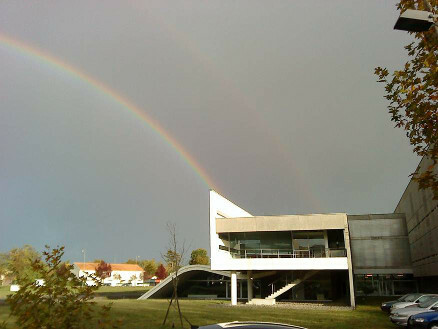 The lab is hosted at the Institut Européen de Chimie et Biologie, located on the campus of the University of Bordeaux in Pessac, southwest of Bordeaux. The tram stop “Doyen Brus” is located 300 meters south of the IECB and is served by the B line. The bus stop “Village 2” is located in front of the IECB building and is served by the bus lines 34, 58, and 87. The closest airport is Bordeaux-Mérignac (BOD); from there, take the bus liane #1 to reach the city center (Bordeaux Quinconces), then take tram B to the IECB. The closest railway station is Bordeaux-Saint-Jean; from there, take tram C to the city center, then tram B to the IECB.